It’s time to rejuvenate the strength, colour and vibrancy of your floorboards! Our timber floor staining in Sydney will truly enhance the strength and visual appeal of your timber flooring. Whether you want to enhance the existing colour or transform the mood of a certain room – we have the knowledge and resources to achieve your vision. What are the Benefits of Wood Staining? Wood staining is an effective way to enhance the visual appeal and durability of a timber surface. Timber staining is an ideal way to match the colour scheme of your home. With a broad choice of colours, staining is also effective in changing the mood of different rooms. Want to make your home feel warmer, cosier or more subdued? Let us create a unique batch to make your home feel more welcoming. 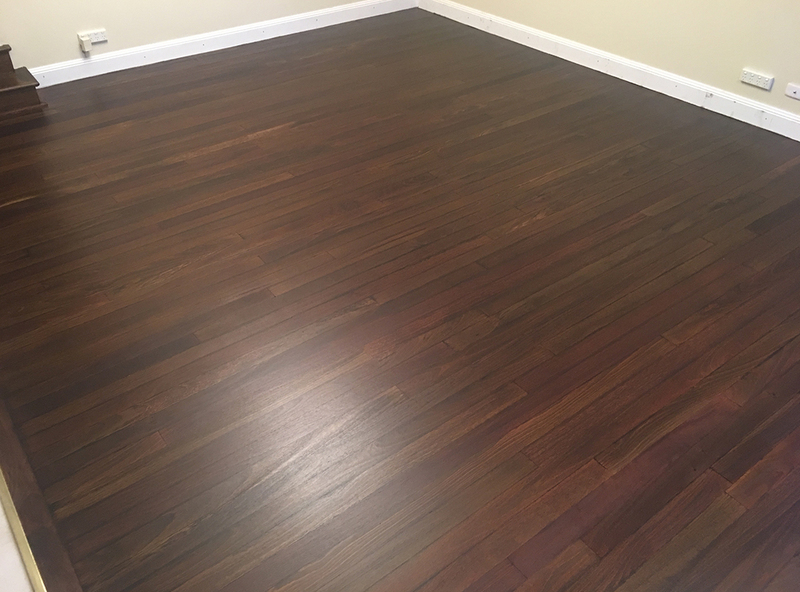 While timber stains will only make the surface look darker, we also provide a liming service to lighten the appearance of your timber or pine surface. Do you have a yellow pine floor that doesn’t match the interior design of your home? Why not reinvent your pine surface with a lighter or darker shade? It’s the easiest way to give your pine floor a radically new appearance. You receive a personal service to achieve the look you desire. We can mix-and-match a range of water-based and oil-based solutions to achieve your desired results. These finishes range from pigment stains and fade-resistant stains, to dark stains and oil modified stains. Not sure which solution will suit your home? Browse through our colour samples to find a solution that catches your eye. During your first consultation, you get a risk-free demonstration showing you what the stain will look like in your home. Book an obligation-free appointment with us to learn more about timber floor staining for your Sydney home. Call 0411 354 411 or 9540 9999 to request a FREE colour consultation at a convenient time for you.